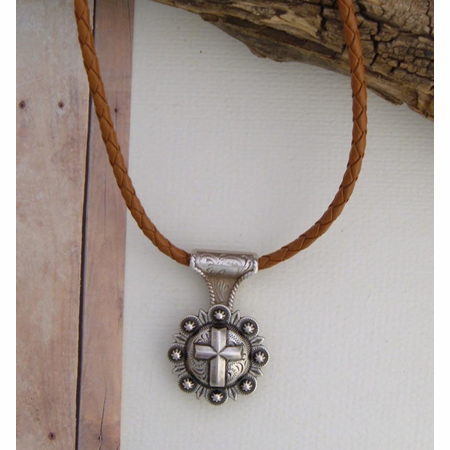 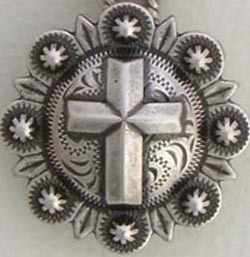 Western Jewelry Concho Necklace - Berry Star. 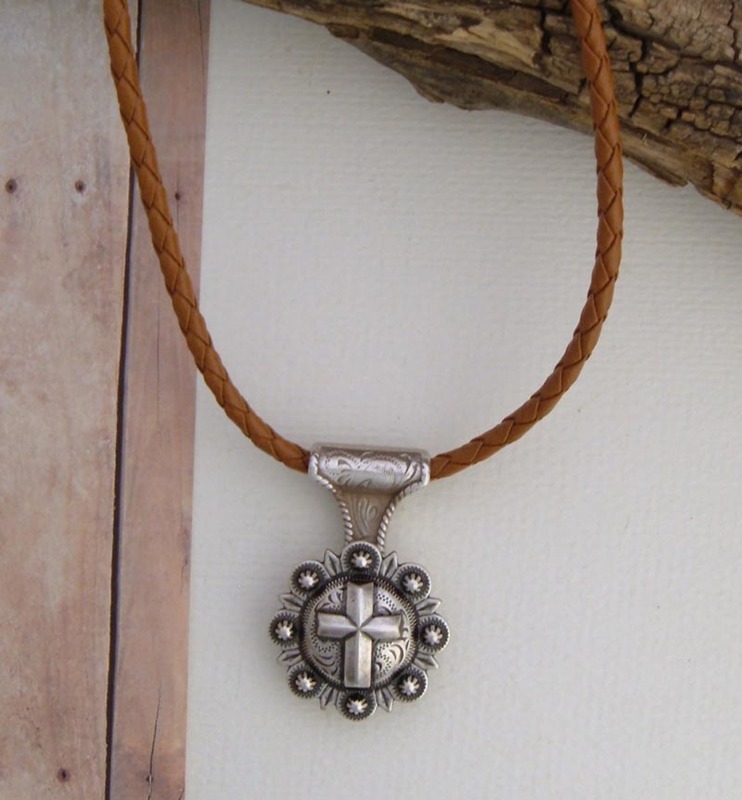 This Western Jewelry Necklace will never go out of style, it tells it's own story, and yours. 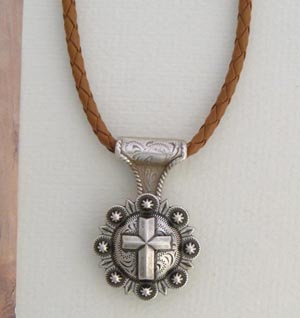 Concho is 1-1/4", suspended from brown bolo leather. 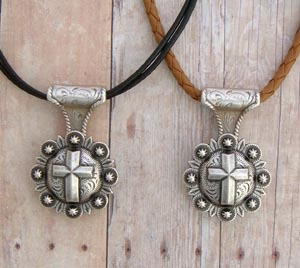 The necklace is 18" in length, 2" extender, lobster claw closure.